Café Volpini poster, cover and front page for Volpini exhibition, 1889. Image courtesy Wikipedia. 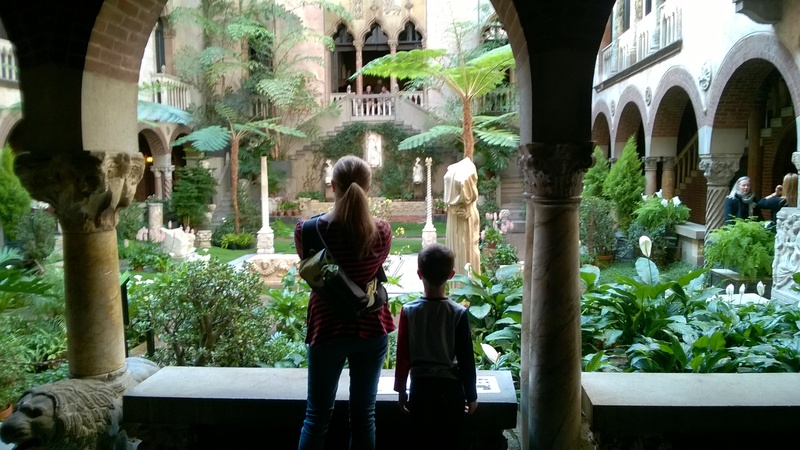 To prepare for this post, I have been combing through two catalogs from the 1889 exposition: Catalogue général officiel and Catalogue général officiel; Exposition centennale de l’art français (1789-1889). French art was divided into two exhibitions, the “Exposition centennale de l’art français (1789-1889)” and the “Exposition Décennale de l’art français (1878 to 1889).” There are over six hundred paintings that appeared on display in the Palais des Beaux-Arts (not to mention sculpture, drawings, and prints), and I am only highlighting a few artists and paintings which I find to be of interest. 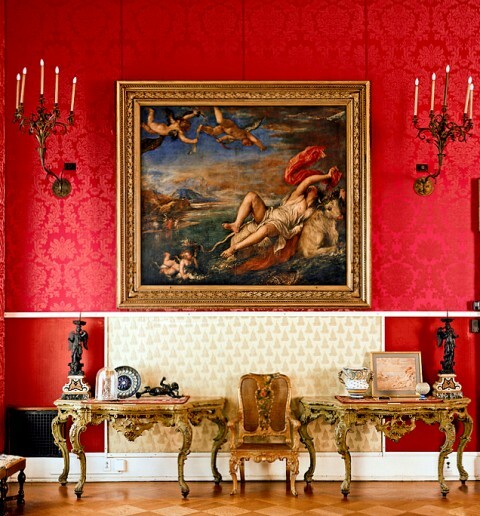 Since there were so many conservative artists that monopolized the show, I will discuss a few of these first, and then highlight some of the more avant-garde and recent artists which were accepted to the official show. 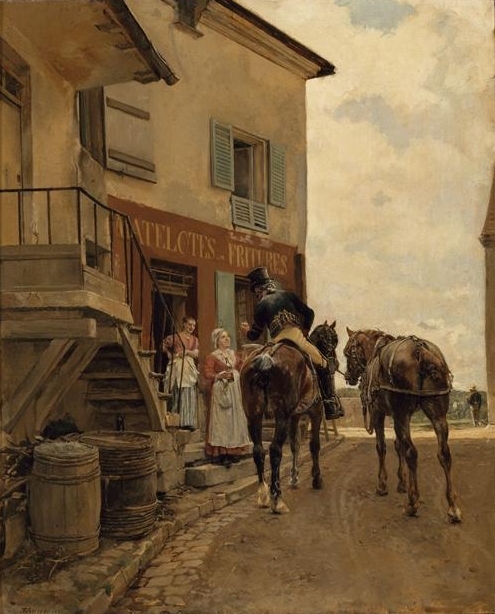 Meissonier is one artist who is particularly praised by the international jury. Perhaps this praise reveals a bit of a bias, since Meissonier was serving as president of the jury for the fine arts division of the Exposition Universelle that year! Meissonier, who was seventy-four at the time, had nineteen works of art on display at the show. These works of art included L’Auberge au Pont de Poissy (shown below), which was painted the same year as the exhibition itself. Other paintings included in the show were Bouguereau’s La Jeunesse de Bacchus (The Youth of Bacchus, 1884) and Jules Bastien-Lepange’s Joan of Arc (1879). 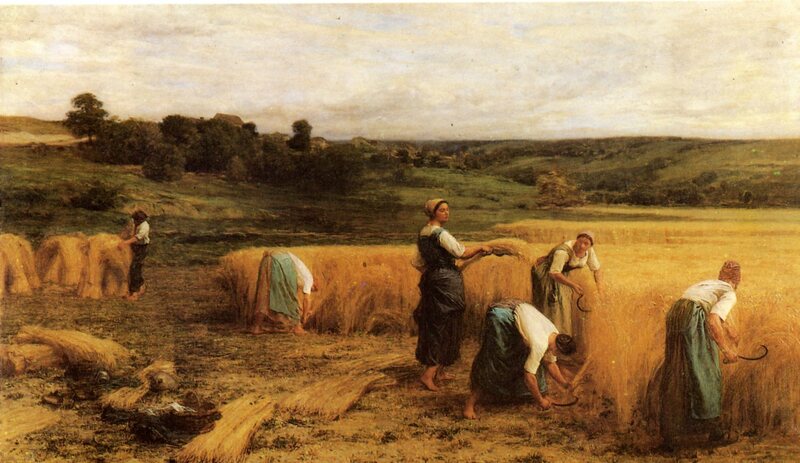 One of the prize winners of the Palais des Beaux-Arts show was Léon-Augustin Lhermitte, who exhibited The Harvest (1874). Alfred Stevens, who was born in Belgium but moved to Paris in the 1840s, was another artist who was highlighted at the Exposition Universelle. 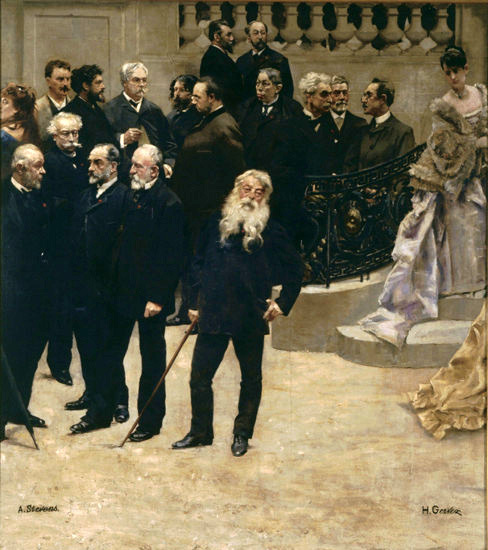 However, Stevens was not featured in the retrospective fine arts exhibition, but received the commission to create a panoramic painting specifically for the Exposition Universelle of 1889. This painting, Panorama du Siecle (Panorama of the Century), was painted with the help of Henri Gervex. It was an astonishing 120 meters long and 6 meters high (in other words, the size of a football field)! The immense panorama was installed at the Tuileries during the Exposition Universelle. 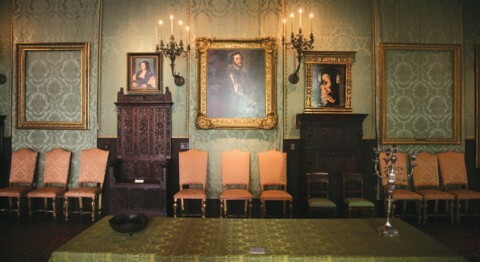 Unsurprisingly, Stevens was unable to secure a permanent place to display the panorama after the fair ended, so he cut the painting into sections and distributed them to shareholders. One of these sections is now titled A Portrait of Parisian Celebrities (shown above, more information HERE). A few other segments of the panorama can be seen HERE, HERE, and HERE. Édouard Manet, “Boating,” 1874. 38 1/4 x 51 1/4 in. (97.2 x 130.2 cm). Metropolitan Museum of Art. Image courtesy Wikipedia. Exhibited as part of the “Exposition centennale de l’art français (1789-1889)” from May-November 1889. Artists with more of a notorious reputation were invited to show their work, too, thanks to the influence of the critic Roger Marx.4 For example, Courbet had twelve paintings on display at the Centennial Exhibition, and Manet had fourteen paintings in that show. 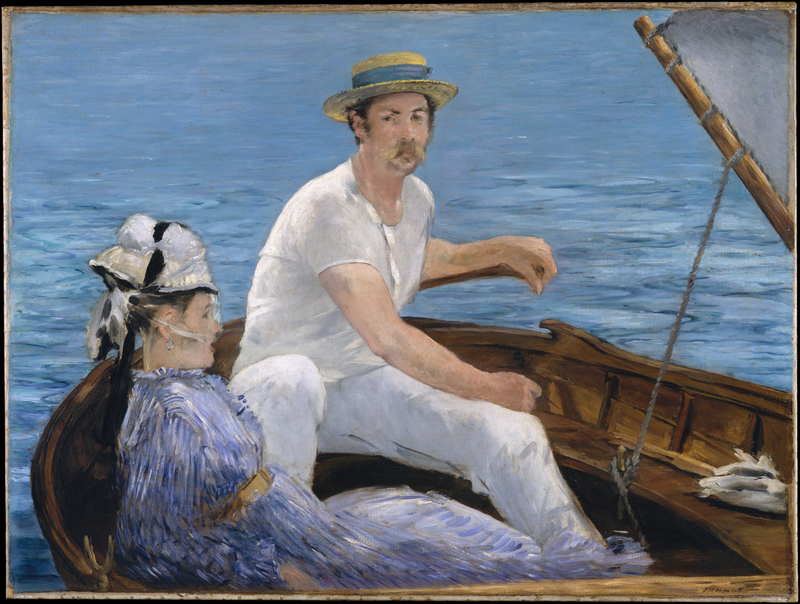 In addition to Boating (shown above), Manet also exhibited The Spanish Singer (an earlier work of art that I highlighted in a recent post). 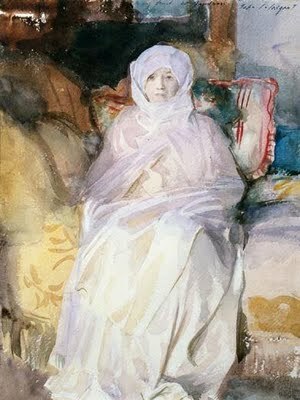 Manet first received critical success for The Spanish Singer, so it makes sense to me that this painting by Manet would be included in the centennial show. Unsurprisingly, his infamous Olympia painting was also shown. 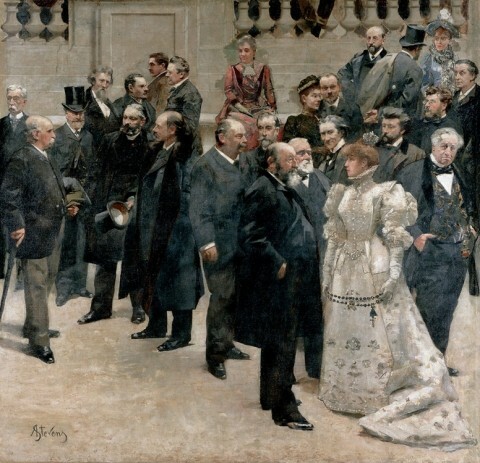 I think the inclusion of this painting really shows how accepting the French public had become of Realism by 1889, considering that this painting caused a scandal when it was exhibited at the Salon of 1865. I think that Gauguin and his colleagues would have been most interested having their show compete with the art that was displayed in the “Exposition Décennale de l’art français (1878 to 1889),” since this art would have been the most recent. And, as I mentioned earlier, the Italian galleries for the overall décennale exhibition were located near the Café des Artes (Café Volpini). I haven’t found a catalog for the décannale show specifically – please share if you know where I can find one in print or digital format! I do know, though, that Moreau’s Jacob and the Angel (1874-1878) was part of this official show. 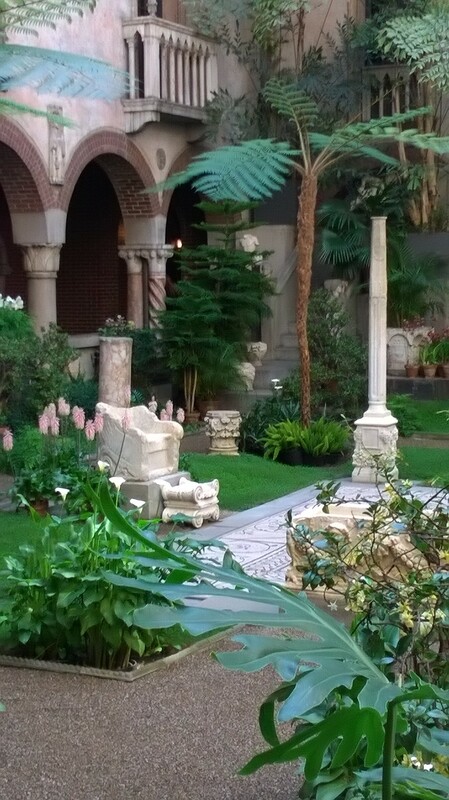 I find this subject matter striking, given the context of Gauguin and the ongoing Cafe Volpini show, because of Gauguin’s interest in this biblical subject. Although Gauguin’s famous painting Vision After the Sermon (Jacob Wrestling with the Angel) was not included in the 1889 Café Volpini show, Gauguin had painted this work of art just a year previously. 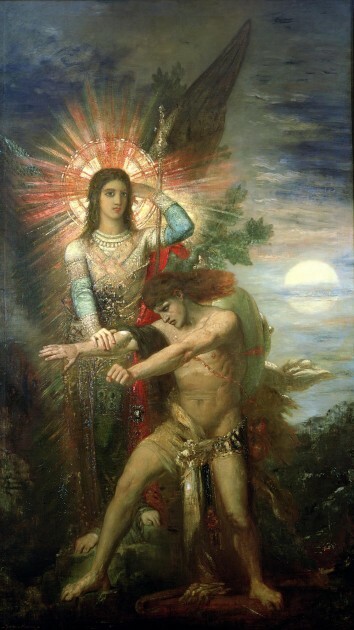 Perhaps he noticed Moreau’s painting on display and considered how the painting was different from his own interpretation of the subject matter. I wouldn’t be surprised if this painting prompted Gauguin to brood over the fact that his own painting was not on display! 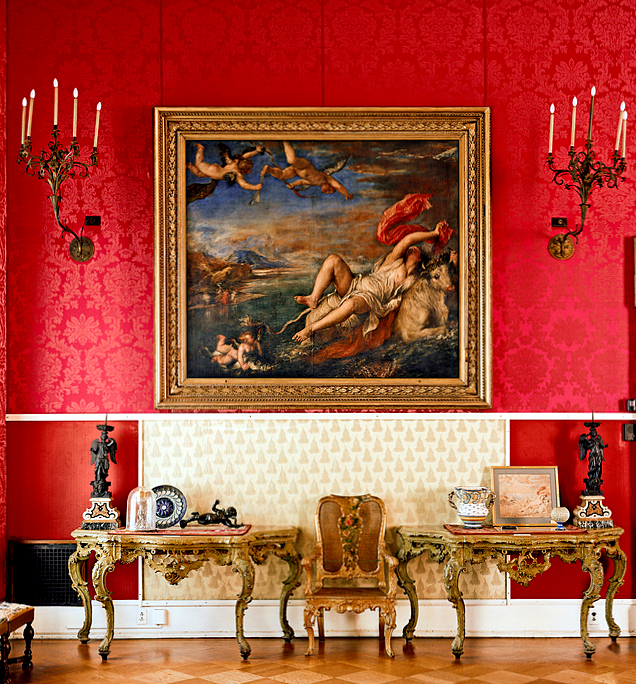 Are there particular works of art from the 1889 Beaux-arts exhibition or Café Volpini show that stand out in your mind? 1 Heather Lemonedes, “Paul Gauguin’s High Yellow Note: The ‘Volpini Suite,'”, p. 29. Available online HERE. 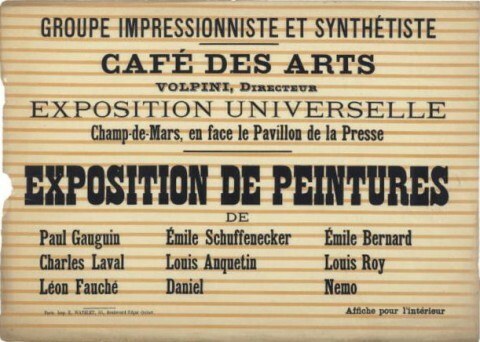 2 Gill Perry, “Exhibiting ‘les Indépendents': Gauguin and the Café Volpini Show,” in The Challenge of the Avant-Garde by Paul Wood (New Haven: Yale University Press, 1999), p. 180. 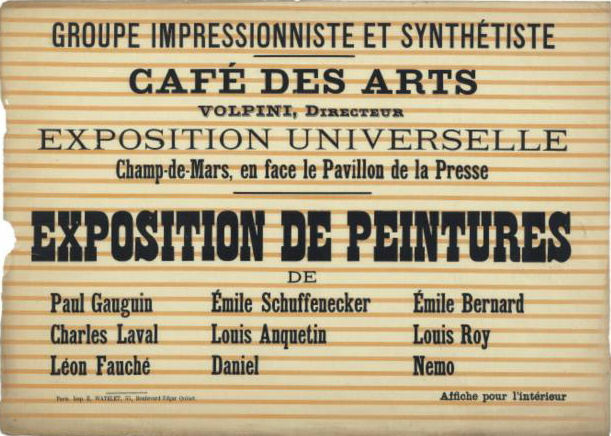 3 The unequal representation of the French artistic scene caught the attention of at least one writer who covered the 1889 exhibition: “Offrons-nous aujord’hui à un artiste quelque chose que ressemble à cette collaboration silencieuse et efficace? Analysez les éléments dont se compose un public d’exposition, écoutez les jugements contradictoires et les théories discordantes des critiques; voyez le désarroi de l’esthétique contemporaine et toutes les nuances d’opinions, de gouts et d’idéals, depuis M. Bougereau jusqu’à M. Degas, depuis M. Bonnat jusqu’à M. Manet, depuis M. Paul Flandrin jusqu’à M. Claude Monet, depuis M. Meissonier jusqu’à M. Raffaëlli. Chacun a son public, ses défenseurs ou ses contradicteurs, souvent également acharnés.” See Librairie Illustrée, L’Exposition de Paris 1889 p. 242. Available online HERE. 4 Lemonedes., p. 28. Available online HERE. 5 Degas refused to participate in group exhibitions after 1886, and the World Fair of 1889 was no exception. See Lemonedes, p. 28. See also Metropolitan Museum of Art, Edgar Degas (New York: Metropolitan Museum of Art, 1988) p. 363. Available online HERE.